Habitat - Wet hammocks, sandhills, marshes, disturbed sites, lawns. 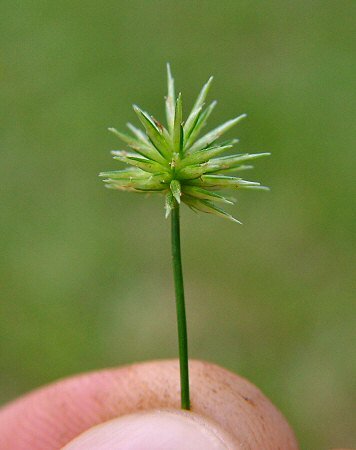 Other information - This weedy little species can be found throughout most of Alabama and is probably much more common than is reported. 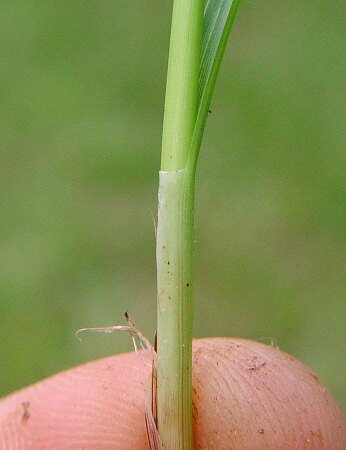 The plant can be identified by its globose clusters of spikelets and long bracts which subtend the inflorescence. 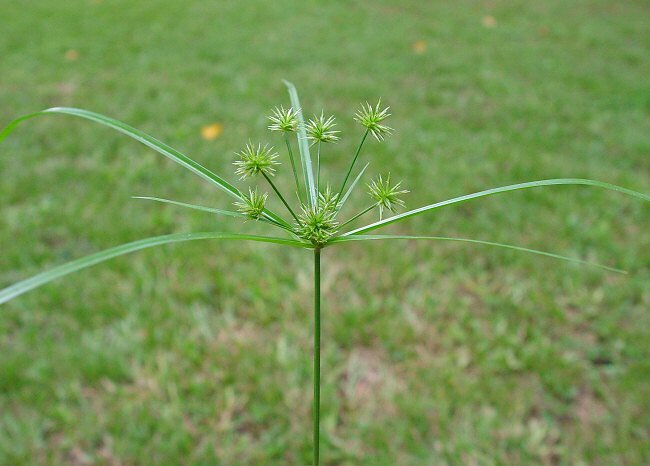 It is a common weed in moist lawns. The species epithet croceus derives from the Greek "croc" and the ancient Greek "krokoeis" meaning "saffron-colored" and probably refers to the color of the fruits. In ancient times, a tunic known as a "crocotula" was worn by Roman women at festivals in honor of Bacchus, whom the saffron color is associated with. Photographs taken off Lee Rd 54, Lee County, AL., 8-20-04.